The long-awaited release of a completely new range of Mercedes-Benz trucks reveals a smart model line-up with great appeal and huge potential. STEVE BROOKS reports. Mercedes-Benz is on the cusp of an entirely new era in the Australian truck market following the much anticipated release of an extensive range of bold new models. 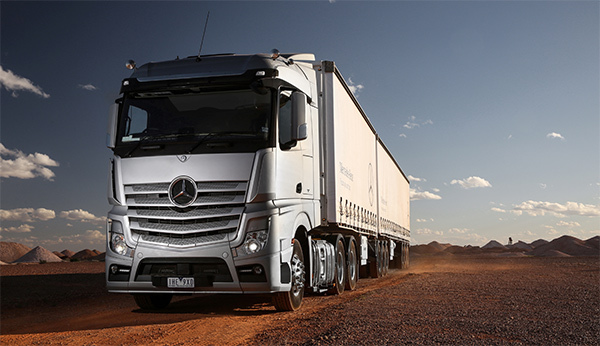 Launched in Far North Queensland last week following intensive test programs with Australian operators, along with what is said to be a thorough shake-up of Daimler Trucks service and support systems, the new trucks have the distinct potential to put the Benz brand squarely back in the spotlight with Australia’s truck buyers. Over the past decade and more, Mercedes-Benz has struggled for market prominence with the previous Actros range largely failing to strike a chord with the majority of truck operators in this country. However, with four new in-line six cylinder engines from 7.7 to 10.7, 12.8 and 15.6 litres spanning 350 to 630 hp, and four well-equipped cab variants, this new line-up has next to nothing in common with the former Actros family other than the three-pointed star on the grille. 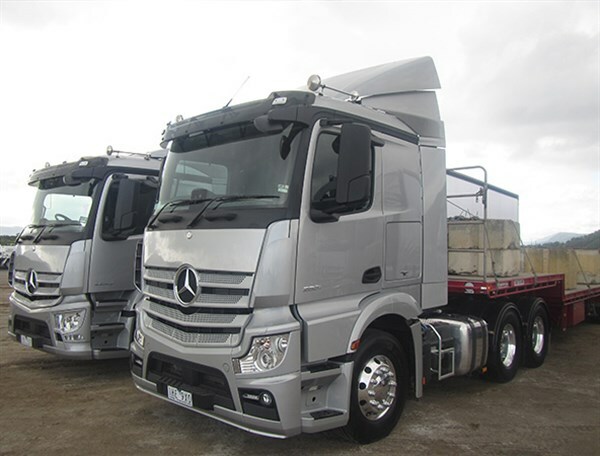 Indeed, early impressions after short stints behind the wheel of several models between Cairns and Townsville left no doubt that these trucks represent an exciting and hugely positive dimension for Mercedes-Benz. Predictably, top-shelf 630 hp models were completely untroubled towing loaded B-double sets but the lively and determined performance of a couple of demo units powered by the 10.7 and 12.8 litre engines were the real surprise packets on the short run down Queensland’s far north coast. Meantime, company executives are making strong claims for enhanced fuel economy across the new range, citing a seven percent improvement over the V6 and V8 engines in the superseded Actros range. While Mercedes-Benz is initially focussing on the introduction of prime mover models, rigid units will become available in the second quarter of 2017 with off-road derivatives to follow later in the year. The importance of the new range to the current and future aspirations of Daimler Trucks Australia was emphasised by managing director Daniel Whitehead immediately after the introduction of the boldly styled range to customers, dealers and media in Cairns. "There’s no question, this is the most important range of trucks for us in more than a decade," Daniel enthused. "This is the moment we’ve been working towards for four years. 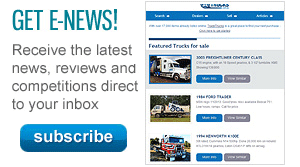 In the cab-over prime mover market, we can now compete with anyone. And I mean anyone," he asserted. As for sales expectations, a determined Daniel Whitehead said, "When you think Volvo currently has more than 15 percent of the heavy-duty market, and I’m absolutely convinced their trucks are no better than what we’re now introducing, then surely our goal can’t be anything less than 10 percent in the relatively near future. "All the way along," he continued, "we’ve been determined not to make the mistakes of the past, particularly bringing new trucks into this market without an extensive Australian test program, and in the process taking a long, hard look at our own service and support systems." According to Mercedes-Benz executive Andrew Assimo, 20 trucks and 35 customers accrued more than one million kilometres of local evaluation on every major freight highway in the 18 months prior to the launch of the new models. Backing the company’s confidence in the new line-up, every truck in the range other than a couple of models aimed at extreme-duty roadtrain roles comes with a two-year bumper-to-bumper and 800,000 km driveline warranty. For the next 12 months, Mercedes-Benz is also offering 500,000 km/five years free scheduled servicing on the new trucks. 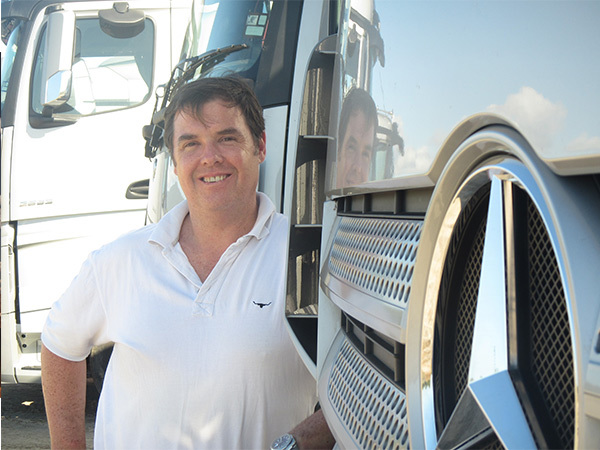 "I know we’ve taken the long road in bringing these trucks to the Australian market but we weren’t prepared to take shortcuts even though the trucks have been doing really well in Europe," Daniel Whitehead commented, pointing out that the new range was first introduced in Europe around five years ago following a test program said to be the longest and most intensive in the commercial vehicle history of Mercedes-Benz. "We’ve been something of a sleeping giant in this country for a while now and like I said, we’ve taken the long road to make sure we had the new trucks right. But today’s the start, the moment we set a new standard and where the changes become tangible." This group starts with the 1835 model, powered by the 7.7 litre OM936 engine with peak outputs of 260 kW (354 hp) and 1400 Nm (1033 lb ft) of torque. It is a Euro 6 engine stirring through an overdrive eight-speed PowerShift automated transmission. The 1835 comes with what Mercedes-Benz calls the M-ClassicSpace cab which is a low roof 2.3 metre wide structure with a 320 mm high engine tunnel. It is the only non-sleeper cab in the range but like all models comes with standard features such as electric mirrors and windows, central locking, air-suspended driver’s seat, automatic wipers and headlights, air horns and a driver’s side airbag. Predictably, stopping power in all the new models comes from electronically controlled disc brakes with ABS anti-lock, ASR anti-skid functions and a raft of standard safety features. Vitally, all new models also come with what Benz says is a ‘high performance engine brake’. 290 kW (394 hp) and 1900 Nm (1401 lb ft). 315 kW (428 hp) and 2100 Nm (1549 lb ft). 335 kW (455 hp) and 2200 Nm (1623 lb ft). While these models share the same axles, brakes and driveline components as the 1835, they instead use a 12-speed direct-drive PowerShift automated shifter. They’re also available with two cab types – the M-ClassicSpace or the L-Classic Space. The ‘L’ is basically a sleeper cab version of the ‘M’, with the same standard features except for the addition of a 750 mm bunk. Surprise packets. A 2643 model (left) powered by the lively 10.7 litre engine and 2651 punched by the strong 12.8 litre engine. First impressions are hugely positive. Also punched by the 10.7 litre OM470 engine are a pair of 6x2 models, each called the 2543 and differing from each other only in the choice of either the non-sleeper M-cab or its bunk brother the ‘L’. Powered by the 315 kW (428 hp) version of the 10.7 litre OM470, they also run the 12-speed direct-drive PowerShift transmission. This is where the new Benz range gets particularly busy and where Daimler will be striving to make significant inroads in shorthaul and regional single trailer roles. There are three distinct models in this group – the 2643, 2646 and 2651, and like their 6x2 counterparts, each is available with the 2.3 metre wide ‘M’ cab or the ‘L’ sleeper cab. While the ’43 and ’46 are powered by the 315 and 335 kW (428 and 455 hp) versions of the OM470 engine, the 2651 uses the 12.8 litre OM471 engine with 375 kW (510 hp) and top torque of 2500 Nm (1844 lb ft). All three members of this group have a GVM rating of 26 tonnes but GCM capacities vary with each model’s power output. The 2643, for instance, has a GCM of 45 tonnes whereas the 2646 and 2651 are rated to 62.5 and 70 tonnes respectively, suggesting this latter two could also be suitable for PBS truck and dog roles and shorthaul B-double duties. Behind each engine is a 12-speed PowerShift direct-drive transmission while under the rear is a hypoid drive tandem sitting on an eight-bag air suspension. On the inside. With four cabs in the range, there’s a lot to like. In linehaul terms, this is the big end of the business and Mercedes-Benz appears to have done its homework very well with a versatile model range supported by an extensive options list. For starters, there are two versions of a model called the 2653 which have the 12.8 litre OM471 engine boosted to peak outputs of 390 kW (530 hp) and a gritty 2600 Nm (1918 lb ft) of torque. Separating the two models is the choice of cab; there’s a version of the 2.3 metre wide L-ClassicSpace sleeper with the engine tunnel protruding just 170 mm into the cab or there’s the higher and wider top-shelf L-StreamSpace cab with a completely flat floor. 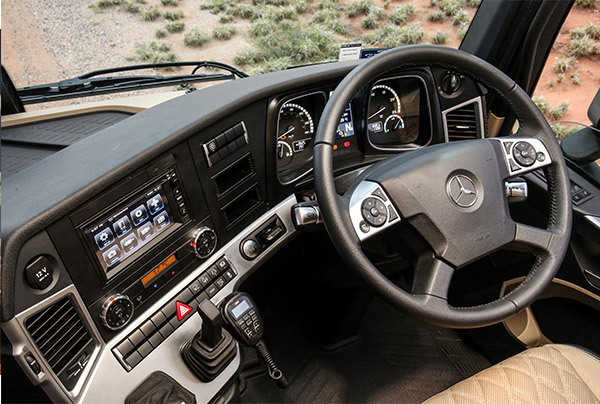 Whatever the cab choice though, both 2653 models have a GCM rating of 70 tonnes and stir through a direct-drive 12-speed PowerShift automated shifter. Up the scale are the 2658 and the 2663, both with standard GCM ratings of 90 tonnes. Each model comes with the premium 2.5 metre wide cab and each is powered by the 15.6 litre OM473 engine, the only power plant in the new range available with the choice of Euro 5 or Euro 6 emissions standards. Peak outputs of the 2658 are 425 kW (578 hp) and 2800 Nm (2065 lb ft) while the 2663 delivers 460 kW (625 hp) and a hill-crunching 3000 Nm (2213 lb ft) of torque. Coping with the potent torque outputs of the 15.6 litre engines is a heavy-duty overdrive PowerShift transmission. With standard GCM ratings of 106 tonnes and one unit – the 2763 model – capable of being rated up to 160 tonnes, the three models in this group are obviously the heavy hitters of the Benz bunch. They are the 2663, the 2763 and the 3358, with all powered by the OM473 engine stirring through a 16-speed double-overdrive derivative of the PowerShift automated box. Obviously enough, the two ’63 models are punched by the 460 kW (625 hp) version of the 15.6 litre engine whereas the 3358 gets the 425 kW (578 hp) rating. Both the ‘63s have the premium StreamSpace cab while the 3358 has the 2.3 metre wide ‘L’ sleeper with the 170 mm engine tunnel height. These three are the only models in the new range fitted with hub-reduction rear axles. Daimler Trucks Australia managing director Daniel Whitehead. "There’s no question, this is the most important range of trucks for us in more than a decade." Yet the arrival of the new Benz models also fuels speculation that Freightliner’s Argosy has just a few years to run before Daimler Trucks North America shelves all investment in cab-over production to concentrate solely on an entirely new range of Cascadia conventionals, including dedicated righthand-drive models. Asked if the new Benz range will be the only premium cab-over offering from Daimler Trucks Australia within two or three years despite the fact that Argosy still accounts for up to 30 percent of Freightliner sales in Australia, a cautious Daniel Whitehead said simply, "My expectation is that the new Mercedes-Benz range will be our only cab-over flagship sometime in the future." On the relatively poor market penetration of Daimler’s three brands (Freightliner, Fuso and Mercedes-Benz) in the heavy-duty truck segment compared to corporate rivals Volvo Group Australia (VGA) and Paccar, he conceded that current results are less than satisfactory. "Sure, I’m not satisfied with Daimler’s overall percentage but I’m absolutely convinced this new Mercedes-Benz range is the first step in turning that around," he said firmly. 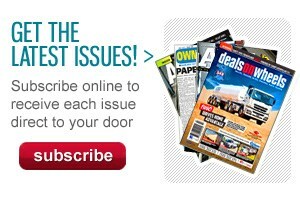 "But as we all know, it’s not just about having good trucks. Service and support are critical and while we’ve made sure we have the new trucks right, we’ve also spent a lot of time and effort improving the after-sales aspects of our business with programs like ‘Elite Support’. "It’s a complete dealership and workshop initiative and the intention all the way along has been to ensure we’re providing the best service to our customers nationally. "It all starts now with these new trucks," Daniel Whitehead concluded.